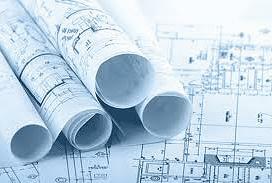 Blue Print Reading for Construction is a must for A-General Engineering and B-General Building contractors. The current versions of the State’s General Engineering and General Building exams each contain exam questions based on complicated plans consisting of 10 to 20 pages of large prints. Most applicants already have experience reading prints and have no trouble answering the questions. Some applicants who have little or no experience reading prints may need additional instruction. This Print Reading program is designed to assist applicants in reading and understanding both residential and commercial prints. The book and accompanying set of plans present a thorough discussion of print reading techniques, starting with the basics of print reading and progressing to advanced topics. Included with the book: 140 large prints to use when answering the practice test questions! Included with the book are 116 large prints to use when answering practice questions in the book. Print Reading for Construction is intended to supplement the course material. A-General Engineering and B-General Building applicants who have little or no experience reading prints should study Blue Print Reading for Construction. View our return/refund policy here.